If you are planning to sell your home in the future, take a close look at your kitchen. As “central command” for a home, the kitchen is one area that needs to be well-kept and attractive to impress buyers. Consider the following ideas for kitchen improvements that could give your home’s value a boost. Over time, kitchen flooring often suffers a lot of wear and tear. Replacing floors is a good option to add a fresh look and offers a fantastic variety of available selections to choose from including stone, tile, wood, vinyl, porcelain, marble and even concrete. If you prefer to repair existing floors and already have hardwood floors, those can be easily made to look new and beautiful by sanding and refinishing! If your current flooring is a vinyl, eHow offers these instructions to help with basic refurbishing. Kitchen countertops provide another area that offers great benefits for value enhancement if problems exist. You may want to consider restoring or replacing them. Wear on countertops from years of use and even damage can often be repaired. 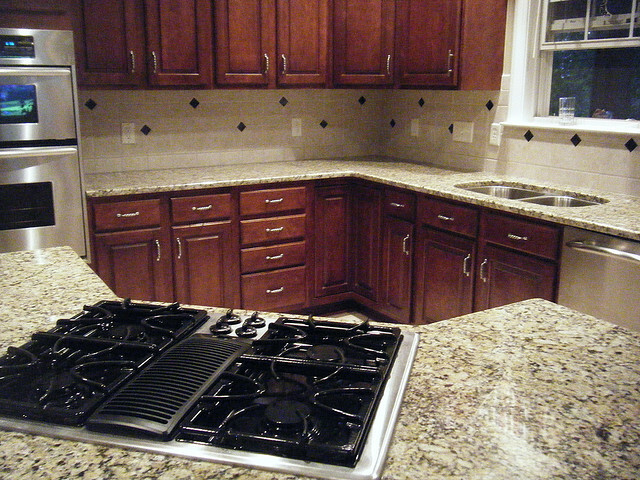 Check out available repair kits for granite, solid-surface, marble, wood and laminate countertops. Many older homes were built when laminate counters were a popular choice and even these can frequently be patched, repainted, polished and re-laminated if replacement is not an option. For more information regarding the repair or replacement of countertops, take a look at tips available from This Old House. If your appliances are truly outdated, showing serious wear, or missing some of their former glory and features, keep in mind that some of the large appliance vendors frequently run “specials” on what they call “Kitchen Packages” that come with a new stove, refrigerator, dishwasher, and microwave oven … the pricing is surprisingly reasonable. One local area vendor who offers this type of package is the well-known Abt Appliance, also famous for their great customer service. New appliances clearly provide a value boost when selling a home. When it comes to cabinets, obviously a bright new look can really spruce up the appearance of your kitchen. While cabinet replacement can be costly and time-consuming, painting or refinishing cabinets instead may present a cost-effective solution, especially if they’re older, worn or have an outdated design. Consider the addition of new hardware as an easy and inexpensive improvement as well. Lastly, you’ll also want to correct misaligned doors or drawers. TheFamilyHandyman.com offers many suggestions, ideas and information regarding cabinet repairs and restoration. For advice on your specific situation and recommendations regarding value-enhancing changes, please contact me today for a consultation. I will be happy to answer any questions you may have. Should you be considering a home purchase or the sale of your existing Chicago North Shore, North or Northwest Suburbs home, I can help you to find the right home for your family or determine the value of current property. Earth Day 2015 was recognized this past Wednesday, but this weekend Northbrook will celebrate a-bit-belated Earth & Arbor Day event. While participating in on-going fun, you’ll also find environmentally-conscious ways of conserving energy and saving money. The Northbrook Village Green will bustle with activity as visitors join in the festivities. The day begins at “The Green” with a Community Clean-up effort followed by touring up to 50+ exhibits. All participants will arrive with the same cause in mind … promoting Earth-friendly ideas and concepts to implement at home or in your business. Expect to acquire valuable information on weatherization measures, renewable energy ideas, resources for regional organic farmers, and environmentally-friendly products that can be used in our daily lives. Live music will be provided courtesy of local musicians. There will also be an abundant amount of food available for purchase. Bring the children to enjoy activities including a live reclaimed wood sawmill demonstration and much more. The Earth & Arbor Day commemorative event is free for all attendees. So, this Saturday, don’t miss the opportunity to help clean up “The Green”, prior to enjoying the exhibits, games, food, and live entertainment. This special occasion will be fun for the whole family and offers solutions for a brighter tomorrow! 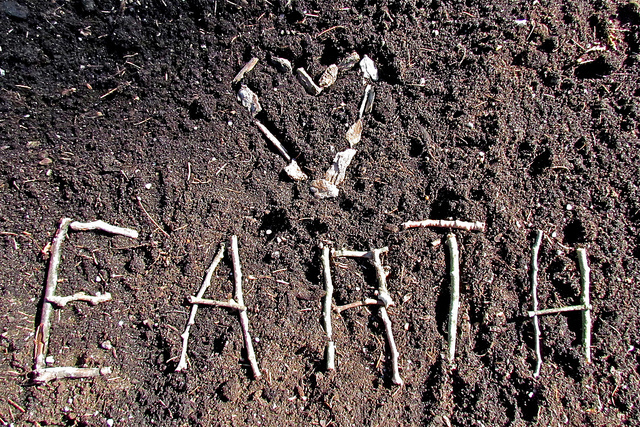 For more information regarding the Earth & Arbor Day event, please click here. Some of the factors that can negatively affect a home’s value are more obvious than others, and evaluating market value isn’t easy for a homeowner. An objective opinion, though sometimes difficult to accept, may be required. Some homeowners may be faced with the challenge of selling a home in a less than ideal location. A home located in an area filled with unkempt or rundown properties, or an area adjacent to unappealing views, train tracks, highways and large electrical lines may be especially difficult to sell -- even if the home, itself, is in pristine condition. This makes understanding how to price a home right for the neighborhood especially important. Many potential buyers form an opinion of a home the minute they step out of their cars. First impressions are critical, and a house without curb appeal may end the interest even before it starts. Fortunately, rectifying curb appeal issues is relatively easy as compared to other problems. Start by maintaining the yard and landscaping, cleaning the front porch, and/or applying a fresh coat of paint. Pay particular attention to the front door – remember buyers will stand there looking around as their agent provides access. As basic as this may seem, these simple improvements are the foundation for attractive curb appeal. Whether it’s obvious, or only discovered during a home inspection, problems with roofing, structure, HVAC or other mechanical equipment ideally needs to be addressed by the seller before the house goes on the market. Otherwise, or those concerns will be factored into a prospective buyer’s offer. The problem with handling the situation once a buyer is interested is that most buyers will double or triple the discount/cost of correcting issues as compared to the seller’s actual out-of-pocket expense to do the work in advance of marketing. Either way, the seller will pay, but generally they pay more after the offer than if problems are handled before the marketing begins. Undoubtedly, one additional priority should be to address odors and damage caused by pets before a house goes on the market. The scent of cat urine or the sight of wood floors, doors and/or woodwork badly scratched by animals will discourage buyers as well as drive offer amounts substantially down. As with the issues relating to curb appeal and physical problems, these distractions should be addressed before buyers begin to visit a home. Buyers need to imagine themselves living in a home of their own. So be leery of overly-personal design and customization decisions which may be perfect for the current owner, but fail to appeal to the majority of prospective buyers. They will view those special design choices as an expense they have to pay to undo. So if sellers elect to repaint to sell, generally stick with neutral colors and remove or replace unique features that might otherwise leave buyers scratching their heads. With a little effort and careful planning, addressing these issues can return more in value than the cost of the work. I can help you sort through what can and can’t be done to improve your position and help you to set an asking price that will bring results. Contact me today for a consultation. I will be happy to answer any questions you may have, and/or help you determine your home’s value. This weekend your entire family is invited to celebrate our fine feathered friends at the gorgeous Reed-Turner Nature Center. The 40-acre section of the original “Grove”, for which Long Grove was named, will be the venue for the oh-so-popular For the Birds Weekend event. The occasion boasts 2 spectacular days of fun for both adults and children alike. The day begins with a guided walking tour through the Woodlands where you’ll have the opportunity to observe an array of bird species and learn about the lives they lead. Afterwards you’ll meet with experts from the Barn Swallow Rehabilitation Center and the Stillman Nature Center, visiting even more live birds up close and personal. Additionally you are also welcome to participate in the Birdhouse Silent Auction. Birdhouses, feeders, and bird-themed items will be on exhibit, awaiting the highest bid. Meanwhile, the bird-art craft events are ideal for your children’s participation. 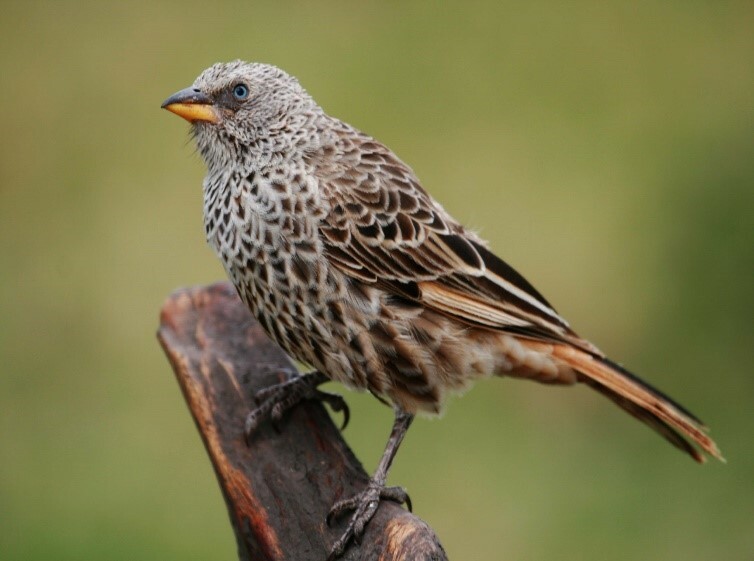 Special lectures and demonstrations will be taking place throughout the weekend as well including information about how to attract certain bird species into your own backyards with live bird demonstrations, and much more. Admission to the For the Birds Weekend event is free. So, plan to indulge in the fun this weekend! What a fantastic way to say goodbye to winter and hello to spring. For more information regarding the For the Birds Weekend event, please click here. The March 2015 Midwest Real Estate Market Reports are now ready for your review. These market reports provide an insight on the real estate market statistics for Cook County and Lake County. These statistics are helpful when you are considering buying or selling in today’s real estate market. And, remember should you need tailored reports on a subdivision or neighborhood in the North Shore, North and Northwest Suburban Chicago, Illinois area, please let me know. The arrival of spring signals the time to schedule an appointment for a professional HVAC technician to visit your home and service your A/C unit in anticipation of the warmer weather. Be sure to take advantage of professional guidance by asking your HVAC technician about the unique nature of your system and pointers on how to keep it functioning efficiently and reliably. For example, if you are unsure where the filters are located or what type of filter is right for your home, have the technician show you what works best and where. Moreover, keeping your HVAC system in efficient operating condition is important for anyone trying to sell a home, and will obviously be a concern for those folks buying a home as well. -Make sure all outside equipment is clean and has free flow of air around it. -Verify your thermostat settings to be certain the temperature is properly selected. -Examine the electrical panel to make sure there are no tripped breakers or blown fuses. -Look for pools of water near the equipment which could indicate a blockage in the drainage tubes. Algae could be the culprit when obstructions occur and can be easily removed. -If you notice frost or ice on any of the equipment, shut the system down and contact a professional to identify the cause and provide the remedy. 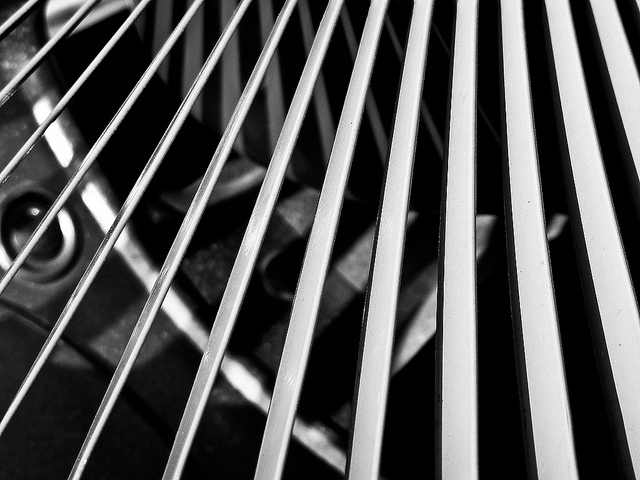 Malfunctions in air conditioning systems can be found in several different places. The exterior unit, the condenser, is where heat is expelled and refrigerant ultimately cools the inside via the evaporator coil. If this unit fails or the refrigerant is lost, cooling problems will surface. Filters are another potential point of failure. Air drawn in by the air conditioner for cooling passes through air filters to remove dust and other particulates. Dirty filters cause the system to work harder, resulting in less cooling, higher electricity bills and potential damage to the equipment. This lower air flow can also cause the evaporator coils to ice-up and/or completely block air flow. Thus, filters should be checked and replaced every two to three months. Additionally, if you have pets, you may want to change them more frequently. Regular preventative maintenance is the most reliable way to address any potential issues before they become expensive fixes that typically arise on the hottest days of the summer when functioning air conditioning is most needed and appreciated. So with warmer weather ahead, being proactive now will assure you one less thing to worry about later. If you are planning to buy or sell a home this coming season in the Chicago North Shore, North or Northwest suburbs, please feel free to contact me today for a consultation. I will be glad to answer any questions you may have, help you to plan a home search and/or help you determine the value of your current home. This weekend the decadent worlds of sweet chocolates and fine wines will be converging at The Chicagoland Artisan Chocolate Festival & Wine Tasting event. The 3-day happening will surely delight your senses, offering the finest in Artisan Chocolates, coupled with the most luxurious of wines! The Chicagoland Artisan Chocolate Festival & Wine Tasting event will feature chocolate and wine tastings, lectures, demonstrations, and much more. Chocolate exhibitors will hail from Utah, California, Michigan, Illinois, and even as far as from Ecuador. They will include, but are not limited to, David Bacco Chocolatier, Sulpice Chocolat, Gourmet Goodies, Amy’s Candy Bar, Patricia’s Chocolates, and Chocolate for the Spirit. Lustau Winery, Tokaj Oremus, and Europvin Winery are just a few of the exhibitors that will also be in attendance. Lectures and demonstrations will be taking place throughout the course of the weekend and will include “The Origins of Chocolate”, “Modeling Chocolate”, “Desert Pairings”, and many more. The chocolate and wine tastings as well as educational presentations will enlighten you to the complex world of both, and the unique approaches in pairing the two. You will have the opportunity to sample plenty of assorted treats, as well as many varieties of wine. Admission to The Chicagoland Artisan Chocolate Festival & Wine Tasting event ranges in price from $11.54 to $27.37, dependent on your ticketing choice. To view the available ticket types, all they include, and to purchase them online, please click here. Should you wait until the day of the event to purchase your tickets, the cost will be $35.00 per person. So this weekend prepare for a day of celebrating, sampling and treating yourself at The Chicagoland Artisan Chocolate Festival & Wine Tasting event. The special occasion promises to provide something for everyone, both amateur analysts and refined connoisseurs alike! 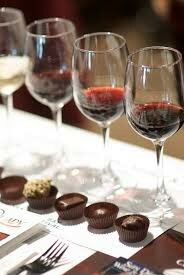 For more information regarding The Chicagoland Artisan Chocolate Festival & Wine Tasting event, please click here. Photo courtesy of Fast Forward Event Productions/commons.wikimedia.org. 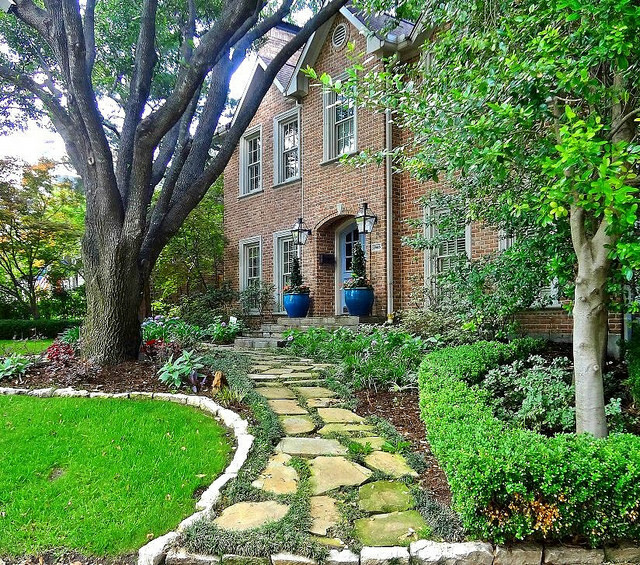 Curb appeal creates a first impression when selling your home that impacts the buyer throughout their viewing. Moreover, it can even make or break a buyer’s decision to tour or not tour your home. So sellers need to do all they can to enhance their home’s exterior façade for added street appeal. Because curb appeal provides clues to buyers as to what life might be like living in your house and its condition, outside maintenance and beautification should be a priority for sellers. Obvious prime concerns include mowing regularly, as well as fresh paint, trim and/or siding. Beyond those major and basic preparations, there are some smaller and less expensive curb appeal improvements that make a huge difference. -Make sure the path from your buyer’s car to the entrance is free of toys, lawn care items, fallen twigs or other debris. Stepping over or around items detracts from the flow of the tour at the outset and in colder climates this additionally means that winter snows and ice should be cleared. -A fresh coat of paint can make your front door look brand new. Once the impression of “new” or “well-kept” is formed in the buyer’s mind, that impression typically endures throughout the showing. -A manicured lawn gives the impression of a carefully tended home. Grass creeping onto and in the sidewalk cracks may look sloppy. A small border of an inch or two of space between the lawn and the sidewalk makes the entire yard look neat and well-kept. -Thin out plants that are overtaking the zone of other plants by leaving space between plants and shrubs to provide an airy and clean appearance that buyer’s value. -Add color. Bright flowers can do wonders for the facade of a home by drawing the eye to your home’s exterior assets. So add some seasonal flowers and color into the landscape if you can. If you don’t want to dig, try strategically-placed planters and hanging baskets to greet your buyers. -Add new mulch. Mulch fades with time, giving landscaping a drab gray base. Bright mulch creates contrast with the colors of flowers and shrubbery, giving them a healthier and more appealing appearance. Consider taking the time to complete these tasks if you are planning to sell your home. You’ll be amazed at the difference you can make in such a short time, and what an impact your home will have on potential buyers. Feel free to contact me today for a consultation. I will be happy to answer any questions you may have, and/or help you determine the value of your home. How well do you know the night sky? Whether you can easily identify Orion’s belt, or perhaps you struggle in finding the North Star, the Starry Starry Night event promises to provide fun for both astronomical buffs, and those new to astronomy alike! For thousands of years, the star-filled sky has been a source of discovery, entertainment and wonder. And this weekend the Heller Nature Center invites your entire family to take an unforgettable journey among the stars. The Starry Starry Night happening welcomes you to step inside the Starlab portable planetarium and begin your tour of the objects that fill the night sky. You will learn how to identify stars that make up constellations and the history that lies behind them. After learning how to recognize particular objects, constellations, stars and more, you’ll head outside to test your new-found skills. Admission to the Starry Starry Night event is $8.00 per person. The Center requests all children be accompanied by a participating adult. To pre-register your family online, please click here. So this Saturday don’t miss the opportunity to learn how to spot the stars, planets, galaxies, constellations, and more at Starry Starry Night. This night sky exploration invites you to become an amateur astronomer, if for only one night! For more information regarding the Starry Starry Night event, please click here. Photo courtesy of Till Credner/en.wikipedia.org.